Nearly forgotten for many years when she was hobbled by multiple back surgeries, Ms. Cosindas resurfaced with a lifetime achievement award in Boston in 2013. Tom Wolfe answered the doorbell of his New York City apartment one day in 1967 to find Marie Cosindas toting a duffle bag filled with camera equipment. She had arrived to photograph the writer for her series “The Dandies,” and he had outfitted himself accordingly: pleated pearl-grey pants, a double-breasted waistcoat, a blue jacket. Trained as a painter, Ms. Cosindas used color Polaroid film to pioneer a new approach to photography in the 1960s. Using a variety of lens filters and her keen sense of lighting, she created portraits and still-lifes that straddled the divide between photography and painting. Arrestingly warm, lush, and intimate at a time when black-and-white art photography could be chilly and minimalist, her work stood alone in its heyday. Nearly forgotten for many years when she was hobbled by multiple back surgeries, Ms. Cosindas resurfaced with a retrospective in Texas and a lifetime achievement award in Boston, both in 2013, and a 2014 show at the Bruce Silverstein Gallery in New York. She died May 25 in Brigham and Women’s Hospital of complications from pneumonia. Ms. Cosindas was 93 and had lived in a Prudential Center apartment for decades. Her first solo show was an exhibition at the Museum of Modern Art in New York in 1966, an unheard-of feat in that era for women in the art world. The show subsequently traveled to the Museum of Fine Arts, Boston, and the Art Institute of Chicago. “Marie Cosindas has made the camera speak with a new accent,” Perry Rathbone, who was then the director of the MFA, wrote of her Polaroid color photographs when they came to Boston. Ms. Cosindas “had a sense of art that I think had a grace and elegance and dignity to it,” said Jeanne Adams, a longtime friend who is the daughter-in-law of photographer Ansel Adams. 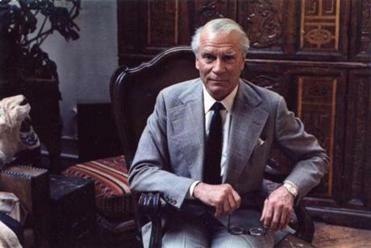 Ms. Cosindas’ portrait of Sir Laurence Olivier in 1972. By the mid-1960s, she was working entirely in color. At the time, photographers adjusted conventional prints through darkroom techniques. Because that wasn’t possible with Polaroid’s instant developing, Ms. Cosindas tweaked colors by using lens filters, along with a careful mix of available and artificial light. She made adjustments, photo after photo, during every shoot, examining each print until she realized her vision. As a session unfolded, there might be “five, 10, 20 Polaroid pictures lying on a table like Bazooka bubble gum cards,” Wolfe wrote in his essay. Sometimes she modified prints by extending the development time from 60 seconds to 90 or 120. She also cranked the heat in her studio to 80 degrees or higher to warm the colors during developing. The results “took on a glow and a creamy richness quite unlike anything that had been seen in color photography up to that time,” Wolfe wrote. “Her procedure was like a painter’s, or as close to a painter’s as a photographer was likely to get,” he added. All this took place in churchlike silence. “I don’t think that Marie Cosindas said 50 words to me the entire time,” he wrote of the 1967 photo shoot. 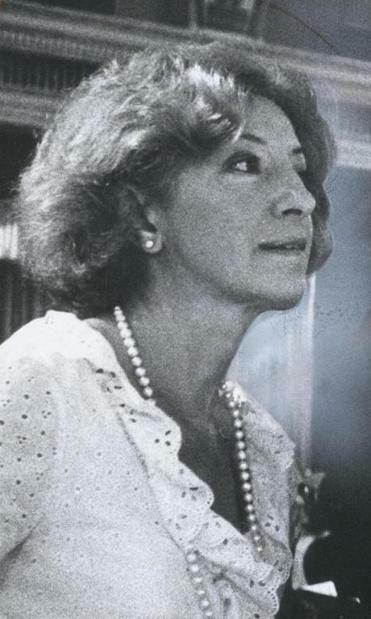 Born in Boston, Marie Cosindas was the eighth of 10 children born to Greek immigrants. Her father, Alexander Kosintas, was a carpenter. Her mother, the former Stavrula Kostandakakis, was a homemaker. Most of the children settled on spelling their last name Cosindas, said Julius R. Teich Jr. of Phoenix, a nephew of Ms. Cosindas’. In 1941, she graduated from the High School of Practical Arts in Roxbury, a girls’ school that required graduates to make their own commencement dresses. Her early photos were in black and white, “and all the time I kept thinking what a shame I couldn’t share what I saw and felt in color,” she added. Once she switched to Polaroid film, her celebrity portraits included Yves St. Laurent, the then-couple Faye Dunaway and Peter Wolf, and Andy Warhol, whom she posed next to an open fire exit door in his building to let outdoor light illuminate the artist’s silver hair. She created photos for covers of record albums and shot stills on movies. Magazine jobs brought her work to the readers of Aperture, Ladies’ Home Journal, and Life. While traveling the world on assignment, she called the house of one of her sisters the first time she had to miss her family’s Thanksgiving gathering. Teich, her nephew, recalled that she put a familiar voice on the line to explain her absence. It was the actor George C. Scott. She was sharing that Thanksgiving with him and the director Stanley Kubrick. A service will be announced for Ms. Cosindas, whose only immediate survivor is her sister Esther Teich of Phoenix. While describing the photographs of Ms. Cosindas, Wolfe invoked in his essay the names of painters such as Italy’s Caravaggio and the Austrian symbolist Gustav Klimt. “The comparisons are easy and endless,” he added. John Szarkowski, the legendary critic and director of photography at the Museum of Modern Art, had the same reaction upon first seeing her photos. “I don’t mean to sound blasphemous — but they look like paintings,” he told her. “I know they do,” she replied.